A great, hilarious new voice in fiction: the poignant, all-too-human recollections of an affable bird researcher in the Indiana backwater as he goes through a disastrous yet heartening love affair with the place and its people. Nathan Lochmueller studies birds, earning just enough money to live on. He drives a glitter-festooned truck, the "Gypsy Moth," and he is in love with Lola, a woman so free-spirited and mysterious she can break a man's heart with a sigh or a shrug. Around them swirls a remarkable cast of characters: the proprietor of Fast Eddie's Burgers & Beer, the genius behind Thong Thursdays; Uncle Dart, a Texan who brings his swagger to Indiana with profound and nearly devastating results; a snapping turtle with a taste for thumbs; a German shepherd who howls backup vocals; and the very charismatic state of Indiana itself. And at the center of it all is Nathan, creeping through the forest to observe the birds he loves and coming to terms with the accidental turns his life has taken. 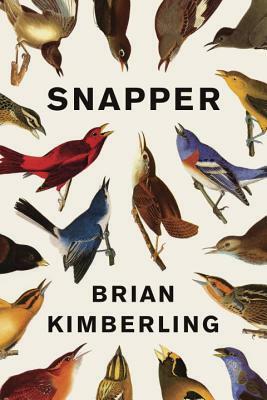 BRIAN KIMBERLING grew up in southern Indiana and spent two years working as a professional birdwatcher before living in the Czech Republic, Turkey, Mexico, and now England. He received an MA in creative writing from Bath Spa University in 2010.